Hi everyone! This is Katie King from Queen of the First Grade Jungle! Life has been CRAZY busy at the King house lately (you can read ALL about that on this post if you would like), but I have just popped in to show how our Time unit is going in my 2nd grade room! 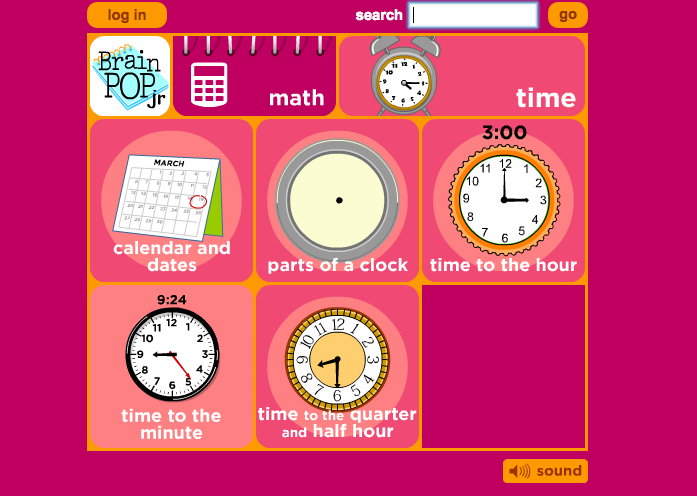 We reviewed Parts of a Clock and Time to the Hour using our trusty friend BrainPop Jr.
Time is a PERFECT unit to keep things really hands on for a while! I love how these clocks show the kids how the hour hand moves closer towards the next number as the minute hand goes around. It really helps them understand the way analog clocks work! We also are using posters from my Time Tutor Unit! 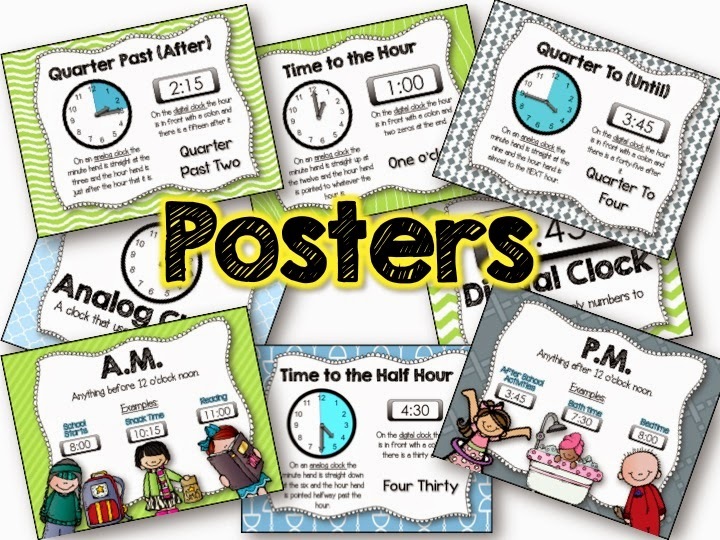 These serves as great visual reminders for my kids! I also made this printable for homework one night next week. 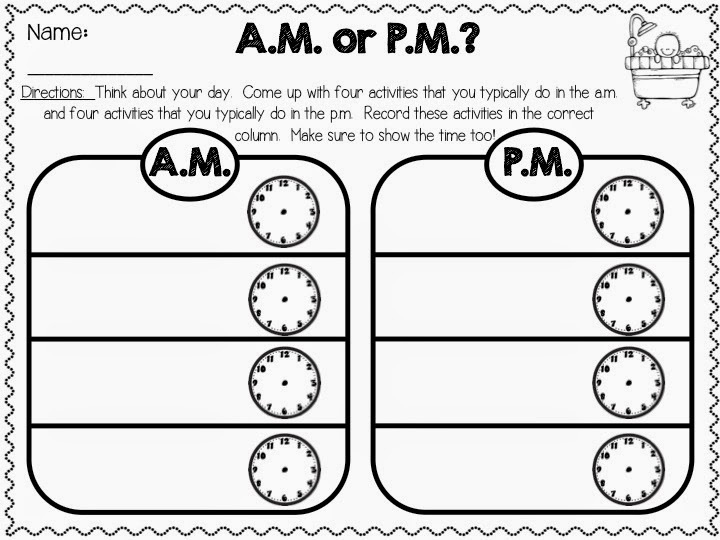 I was surprised to realize how hard A.M. and P.M. was for my kids last year, but I think I am a little better prepared for the challenge this year! Just click on the graphic to snag the freebie! Next week we will get into more pencil paper AND go all the way to 5 minutes, but for the first week back from Christmas Break---I think my kids rocked it! Come check me out for more ideas and freebies! Building a Blogging Support Net! Valentine's Day Party Idea and FREEBIES! Directed Drawings!! Why you should do them! Martin Luther King Jr. FREEBIE!